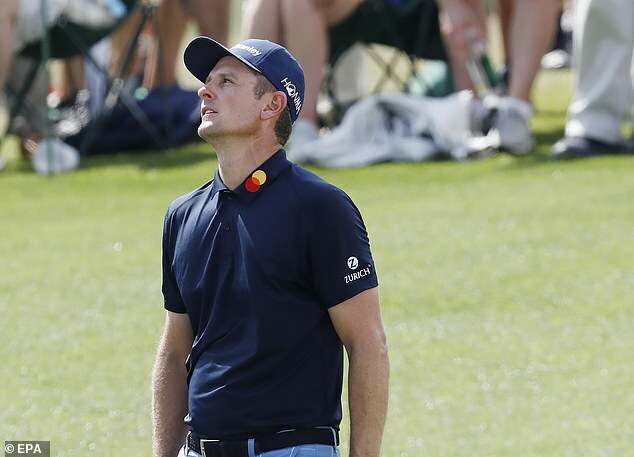 World number one Justin Rose cut a frustrated figure after missing the cut in the Masters for the first time in 14 appearances. 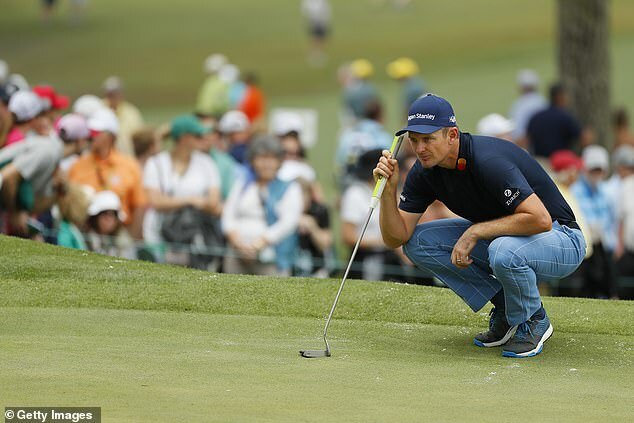 Rose could only add a second round of 73 to his opening 75 at Augusta National, with dropped shots on the 17th and 18th ending his chances of making the weekend. ‘The goal today was to make the cut,’ said Rose, who was among the favourites for the title after two previous runners-up finishes. Rose made the ideal start to round two with birdies on the first and second and after quickly giving those shots back and dropping another on the 11th, birdied the 12th and made an eagle on the 13th. However, the 38-year-old then hit his approach to the par-five 15th into the water short of the green and dropped further shots on the last two holes. ‘It looked good at 12 and 13,’ he added. ‘Middle of the fairway on 15, should be an easy birdie to get back to even par. If you get into the red you’re still in the tournament. But terrible finish and a disappointing miss.